For those of you who aren’t stalking me full time, you may not have noticed the addition of the Gallery link up in the top right corner of the page. 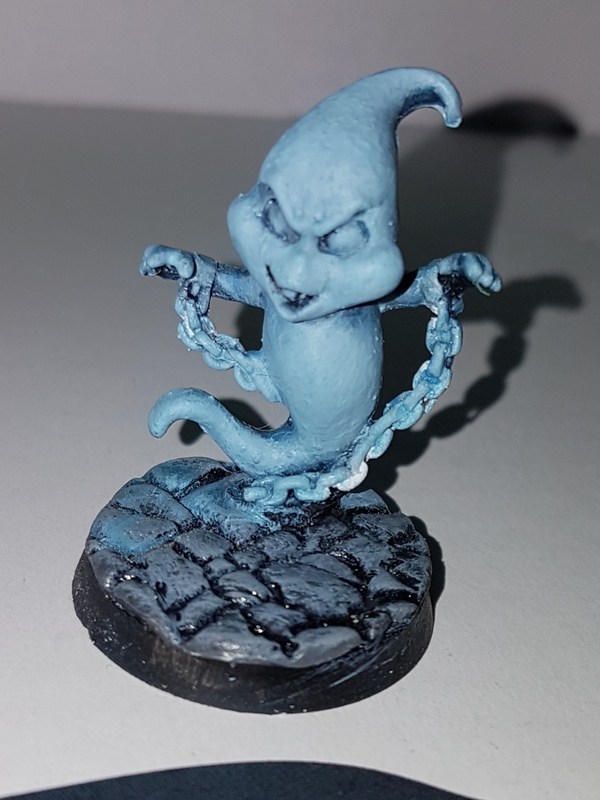 I finally got around to adding a place to show off all my painted miniatures. Unfortunately time and tide have had their effect on my old stuff and I have fewer surviving old pieces than I’d initially hoped. There are some that are salvageable with a few touch ups so I will get them up as soon as I can. In the meantime, what I have is an empty space to put pics of my new painted miniatures when I finish them :-/ . Guess I better get at it and actually finish a miniature soon. Posted in Gaming, Miniature Painting, Website UpdateTagged Painting, WebsiteLeave a Comment on Ninja Stealth Update! In case the picture of a metal D20 in the top left corner didn’t clue you in, I’m a bit of a geek. Specifically, I’m a roleplayer and like all roleplayers I desire a place to roll my dice in style. To that end, I’ve wanted a gaming table to set up in my place for some time (since I was like, 12). Last year, there was an amazing kickstarter called the Table of Ultimate Gaming that suited the bill just right. I backed without hesitation and it would have been glorious… except it was a bit more expensive than I would have liked and after some serious self-reflection and adult conversations with myself, I backed out and missed out. Part of me regrets that decision still. However, the dream has not died. One day, I will have both the gaming room and the table to go in it. Because the nice folks over at Table of Ultimate gaming are mind readers and fellow geeks and they want to help me out, they decided to run a contest and another kickstarter for a new table style they’ve created. I figured I would enter and see if I could get lucky. If you’re a gamer yourself, I highly suggest you follow this link and enter for yourself. Growing up I was shy, quiet and very reserved. These days, I’d be labeled an introvert but back when I was growing up I was a considered a nerd and had very few friends. I’d tried Hockey but it wasn’t for me. I’d tried Cubs and it wasn’t for me. I’d tried soccer and I liked it but I wasn’t amazing at it. While I was never picked on or harassed like the extreme end of the nerd spectrum, I wasn’t ever part of the cool kids cliques either. I was a blip on the school radar and that was it. Which made me very happy. I enjoyed the invisibility (though the slew of 80s teen movies had me secretly dreaming to be the hero of my own story). I survived by telling stories inside my head and hanging with the few friends I did have. This is awesome. You need to watch this. So, you may have noticed that this post constitutes the fifth day in a row where I’ve added content to the site. *boggle*. I don’t think I’ve had a run this long since late 2010 or so. I’m not guaranteeing that I’ll post daily, but I am trying to update more regularly, even if it is only just a meme or something silly that catches my fancy. As I said a few posts ago. I’m trying to keep the blog focused on writing, rpgs and painting. with the predominance being on roleplaying and painting which will hopefully lead to more creativity in the writing. In my last post I showed off a recent WIP miniature that I’ve been working on and I expect to show more in time. My focus with miniatures is for fun and show. I always hated painting “bulk” armies. In fact I have a whole chapter of old Ultramarines kicking around my bitz bin that will probably never see a lick of paint by themselves because I just can’t stomach repetition. Most of my painting lately has been on cool minis that I can use in my Star Wars campaign or just cool show pieces.I also have teams of Blood Bowl and Necromunda that I plan to paint for the new editions of those rules. 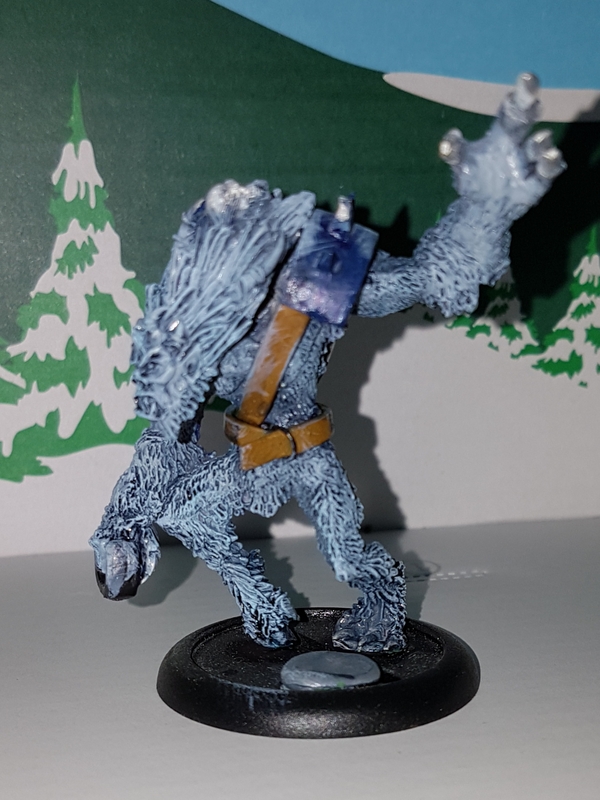 I don’t play D&D anymore, but I still love the cool and unique minis. The ones I like best are ones with some sort of dynamism to them. Whether it be a flowing cape or a non-standard pose, as long as it has character I’m usually attracted to it. Usually what gets me into trouble is I see an amazing painter’s work on a particular figure and I have to have it because I want to do the same thing. This can be frustrating as my skills aren’t there yet but I’m always trying to be better. One of these days I will master my airbrush, the wet-blending technique and paint OSL and NMM in my sleep. My gaming recently has been intentionally limited. If I’m lucky and the stars align, my group gets together once a month for a couple of hours. Usually we’re playing in a Star wars campaign that I’m running using Fantasy Flight Games’ Edge of the Empire narrative rules. Occasionally we’ll play something else. If you’re at all interested, we (I) keep a campaign log over at Obsidian Portal. It’s usually somewhat up to date. When I’m not playing Star Wars, I’m more than likely involved in a new board game. While I’m not the most prolific board gamer, I still enjoy most of the ones I’ve played. One of these days, my friends and I will manage to play through every game we have at least once….. one of these days. Right I think that’s enough babbling for one night. Off to bed. Alright. I think I’ve finally settled on a simple theme I can work with. If you’ve stumbled here in the past few days you may have seen a couple of different iterations. I wasn’t wholly satisfied with them and they weren’t clean and minimalistic enough for me while still being somewhat aesthetically pleasing. I think this one will work for the time being. I’m sure if/when I start posting more frequently I will look at other options, but for now I’m satisfied. Now I shall go back to fiddling with the upcoming script of my group’s latest adventure. It should be fun. Thankfully I found a couple of new tools to make my GMing life so much easier. I’ve been using Scapple to storyboard the adventure. It suits my free-form, semi-sandbox style of GMing with it’s flowcharts, interchangeability and simple ease of use.